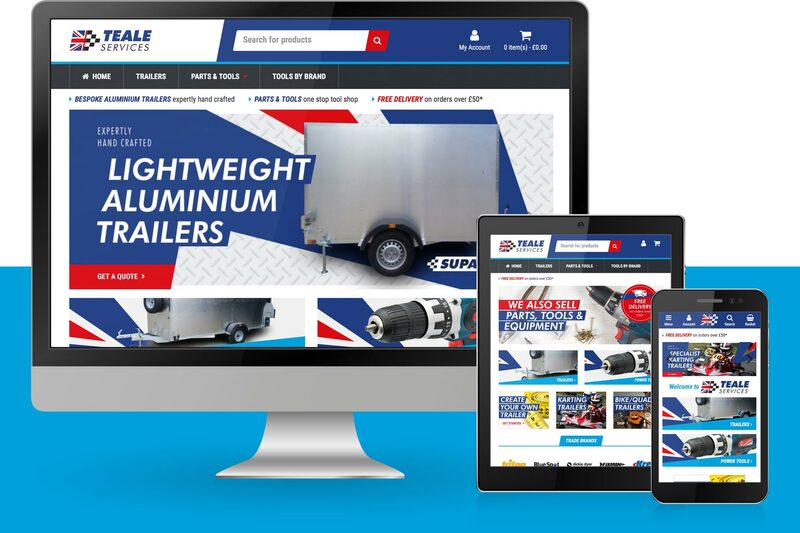 Twilo was commissioned to build a new E-Commerce website to enable Teale Services to start selling tools and equipment online, alongside promoting custom built Trailers. The website needed to strike a balance between these two distinctive areas of the business and allow visitors to easily find what they are looking for; whether it be to find prices and buy standard trailers, send enquiries for custom trailer specifications, or browse and buy tools and equipment. 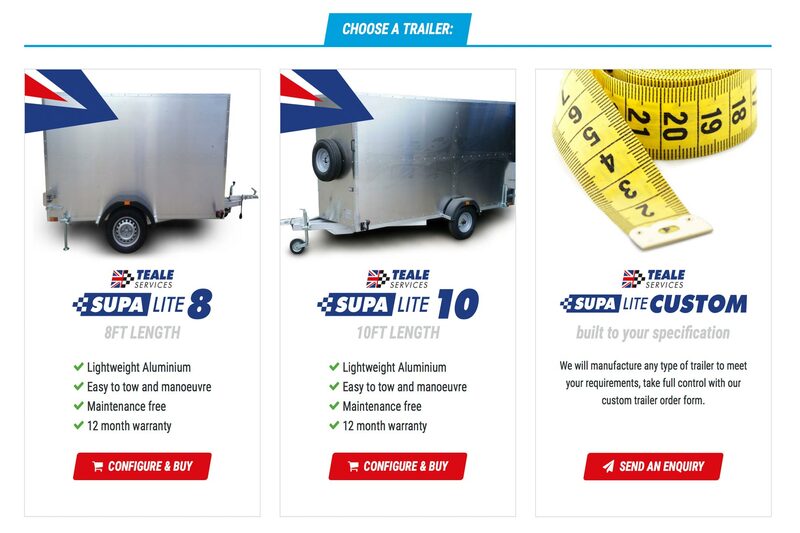 Teale Services wanted to move into selling tools and equipment online, but also needed their website to continue to promote the main focus of their business, which is manufacturing bespoke aluminium trailers. To achieve this successfully Twilo designed a homepage layout that uses large banners to clearly direct customers to the side of the business they had most interest in. 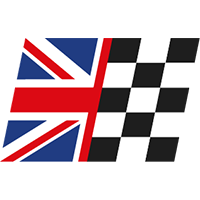 Visual cues and advertising banners were also used throughout the website to make the most of the cross-over business between the two distinct areas. 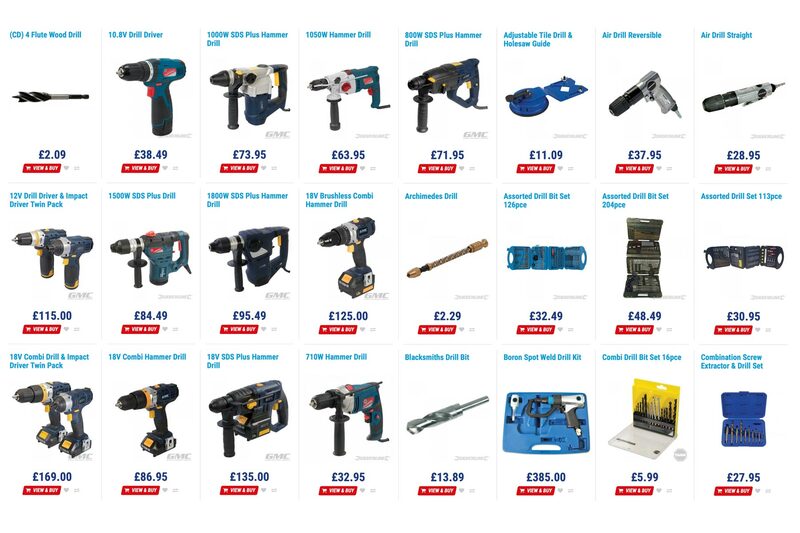 Teale Services hand-made aluminium trailers required a slightly different approach to the typical product page layout. To accomplish this we created a separate template for the trailer pages, which allowed us to include the customisation options, along with photos to illustrate what these meant to the customer. For the non-standard trailer enquiries we also created a completely custom trailer product, which allows customers to send enquiries to Teale Services with their own specifications, ready for quoting. With the vast majority of products coming from outside suppliers, Twilo were supplied with multiple sources from which to import product data. With each data feed having different types of content, Twilo needed to create automated data processing algorythms to convert the feeds into usable information for the E-Commerce platform. A joint effort between automated processing and human data input allowed Twilo to successfully import 15,000 products into roughly 1000 categories, creating Teale Services’ vast tool and equipment inventory.